Attention Class of 2017 Seniors! Interested in scholarships? Developing skills for your future success? Making life-long friendships? The Distinguished Young Women program may be just the thing you're looking for! Now accepting applications for the 2017 program! 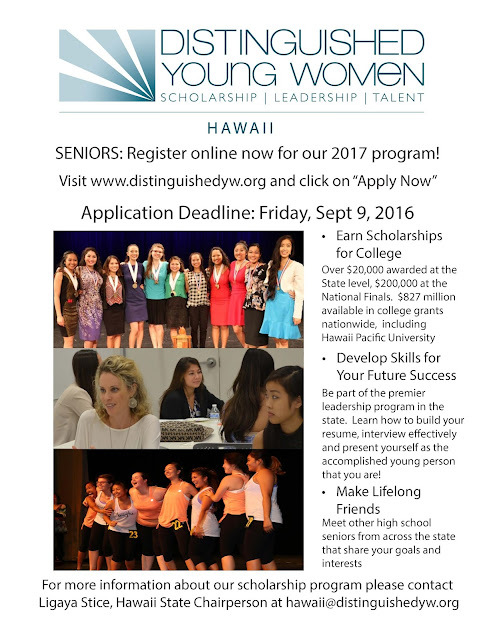 Deadline is September 9th, 2016. Register at www.distinguishedyw.org.